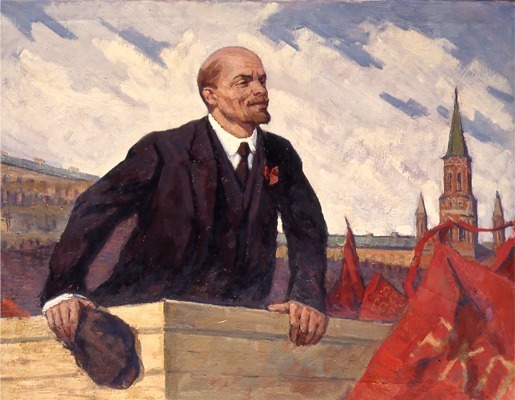 1 Vasili Filippovich IVANOV: "Vladimir Ilich Lenin Speaking." Oil on canvas, 90 x 116 cm. 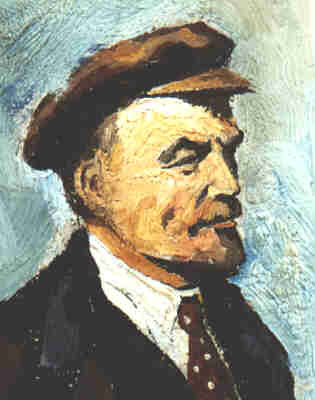 2 Aleksei Konstantinovich NESTERENKO: "Lenin". Oil on canvas, 71 x 53 cm, 1938. 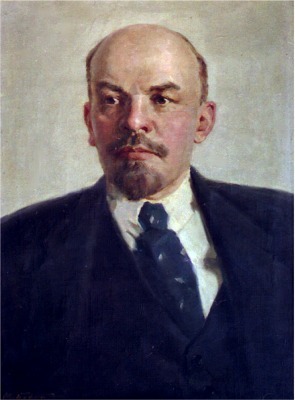 3 Mikhail Mikhailovich BOZHI: "Lenin". Oil on canvas, 69.5 x 50 cm. 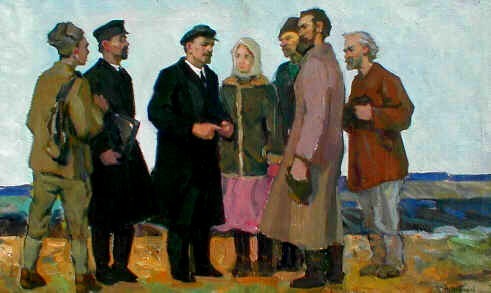 4 Vyacheslav Vasilevich TOKAREV: "Lenin with farmers". Oil on canvas, 46 x 77 cm, appr. 1960. 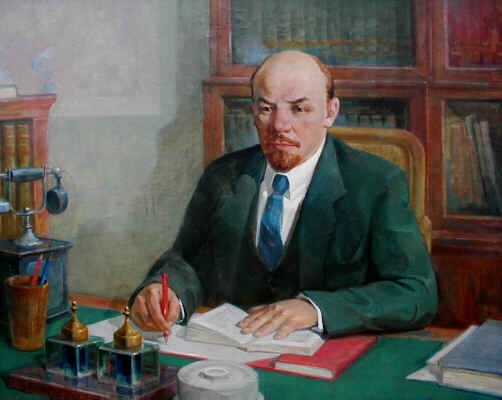 5 Nikolai Artemevich PAVLYUK: "Lenin in his Working Room". Oil on canvas, 80 x 100 cm, 1947. 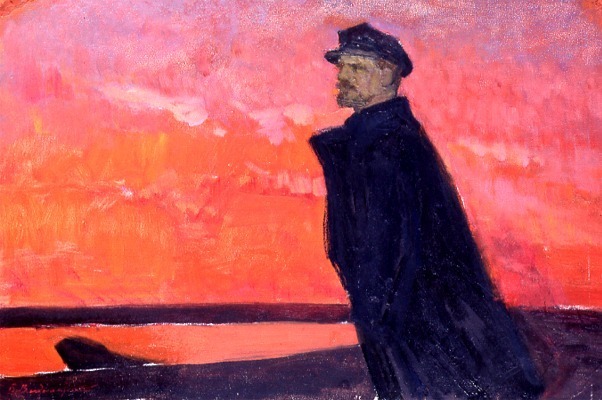 6 Boris Eremeevich VLADIMIRSKI: "Lenin in Red Dawn". Oil on cardboard, 32.5 x 49.5 cm. 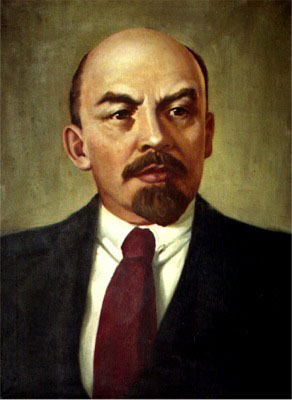 7 Isaak Izraelovich BRODSKI: "Vladimir Ilich Lenin". Oil on cardboard, 50 x 30 cm, 1924.